Born and raised in Gloucester, VA, Roy settled in Poquoson after marrying the love of his life Dorothy Insley Davis. Aside from his family, Roy loved the water. He started Roy. E. Davis Seafood, Inc. in 1968 at the end of Poquoson Avenue. He spent most of his life running his seafood business alongside his two son-in-laws, grandchildren, and numerous friends. Roy was a member of Trinity United Methodist Church. There he was a member of the Wesley Fellowship Sunday School Class. 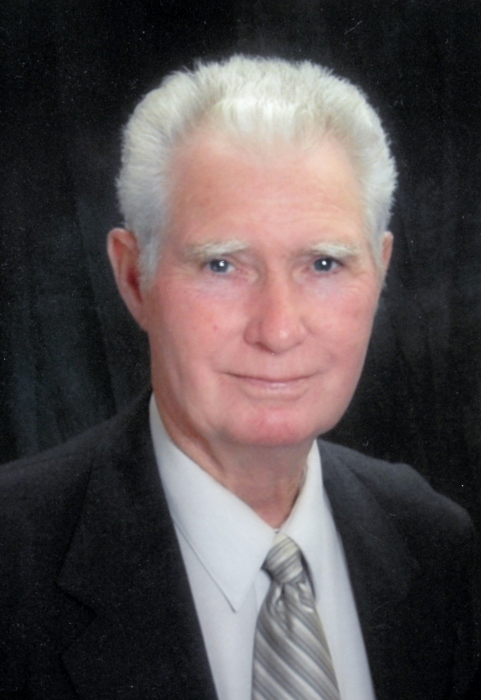 Throughout his life, he was an active member of the community. He served as the past Master of the Masonic Lodge, No. 49, was a member of the JOUAM, a lifetime member of the Scout Golf Club and a member of numerous early morning coffee clubs. For many years, Roy’s home away from home was in Myrtle Beach. He enjoyed scoping the beach for coins with his metal detector. His pride and joy was his vegetable garden and serving his famous prime rib and clam chowder to his family. Roy is preceded in rest by his parents, Isaac Lowda Davis and Louise Fones Davis. He is survived by his loving wife of 68 years, Dorothy; daughters, Cynthia Watkins (Danny) and Tommi Weisner (Johnny); grandchildren, Lynn Zimmerman (Craig), Michelle Fitzpatrick (Jarrod), Shannon Hayes (Donny), and Jonathan Weisner (Nicole); great-grandchilren, Shayne and Devyn Zimmerman, Kendall, Jackson, and Hunter Fitzpatrick, Logan, Madison, and Harper Hayes, and Jacob Rollins; siblings, Marion Davis (Adelaide), Sylvia Motley, William “Billy” Davis (Carolyn), and Diana Booker as well as many nieces, nephews, loving family and dear friends. A funeral service will be held 2:00 PM Friday, March 29 at Trinity United Methodist Church, Poquoson, officiated by Rev. Dr. Patricia Riggs with burial to follow at Parklawn Memorial Park. The family will receive friends at 1:oo PM at the church prior to the service. Claytor Rollins is assisting the family. Online condolences to claytorrollins.com.